Westelijk Halfrond. [Western hemisphere] - SCHOLTENS, A.L. Title : Westelijk Halfrond. [Western hemisphere]. 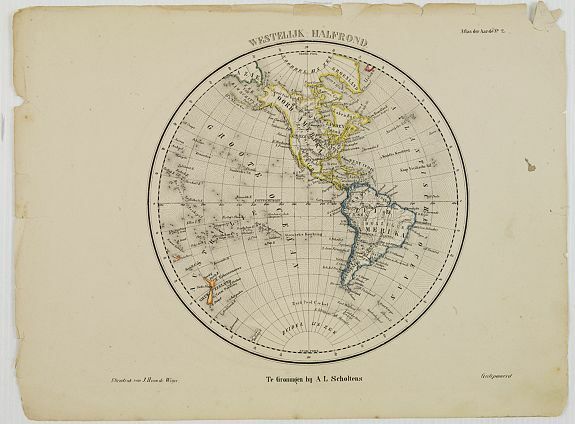 Description :Uncommon world map view of the western and eastern hemispheres of North and South America, Asia. Lithography by J.H. van Weijer, published in Atlas der geheele Aarde [?] in 24 kaarten.